As Chucky proved, it doesn’t take too much effort to turn a charming children’s toy into a horrific nightmare creation. 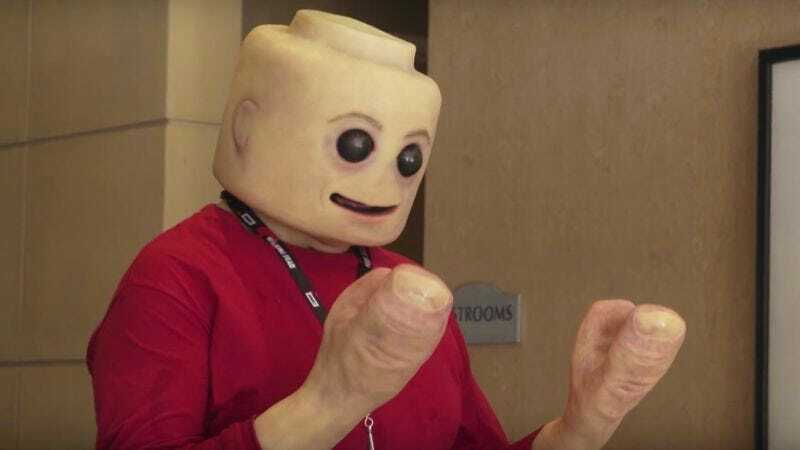 And Adam Savage’s Tested YouTube channel put that idea to the test with a Comic-Con cosplay costume called the “CreepyFig.” It’s basically a Lego Minifigure but with humanlike skin, ears, and eyebrows. Creepiest of all is the humanlike hands, which have fingerprints and fingernails but only two clawlike fingers. Frank Ippolito designed and built the costume, and he also took it for a spin on the Comic-Con floor. Despite its nightmarish appearance, it proved to be a surprisingly big hit with kids.